The contract will last 10 years, starting from 09.12.2018. 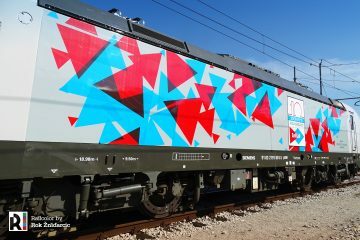 Arriva Vlaky placed the best bid and beat the competitors ČD, Leo Express and Regiojet. 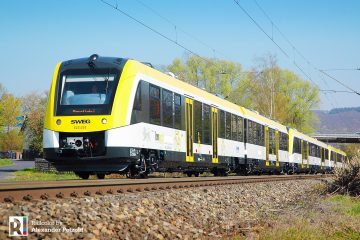 The contract is the first Public Service Contract in train operations for Arriva Vlaky in the Czech republic. 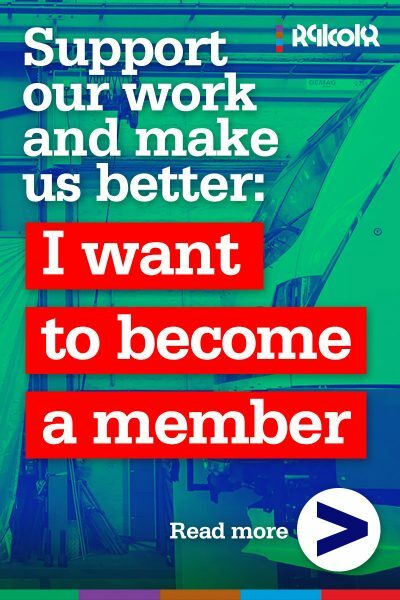 The DB subsidiary has been working hard over the past years to obtain such a contract. At present the S41 operations are ran by Czech state railways ČD. 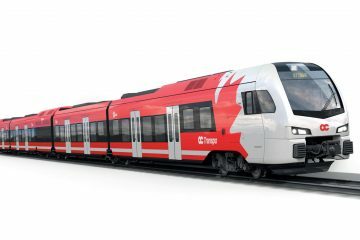 ROPID, the Prague integrated transport organisation, has expressed its dissatisfaction about ČD’s performance. Until 09.08.2018 the S41 train service was operated by the last remaining ‘Pantograph’ or ‘Žabodlam’ (frog mouth) EMUs, ageing class 451 trains in 3-car compositions. These are now withdrawn. Currently ČD uses class 810 and class 814 ‘Regionova’ 2-car DMUs. ČD did not want to invest in new trains for this service, as the tendering made its future with ČD very uncertain. Arriva Vlaky will start its S41 services at the beginning of the 2019 timetable. 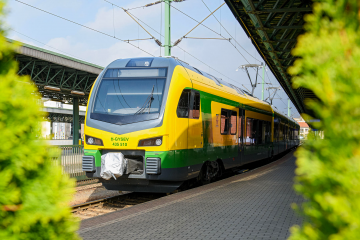 It is expected that Arriva Vlaky will terminate its Praha hlavní nádraží (Prague main station) – Benešov u Prahy semi fast train service, which the company operates on its own initiative and for own risk since February 2016. 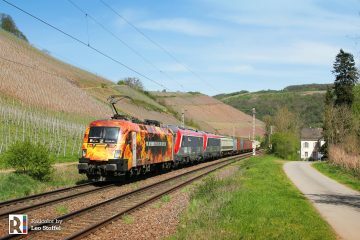 The new service connecting Praha Hostivař and Roztoky u Prahy, along the Moldau river North of Praha, will be operated with former DB class 628 DMUs – a.ka. class 845 in the Czech Republic. 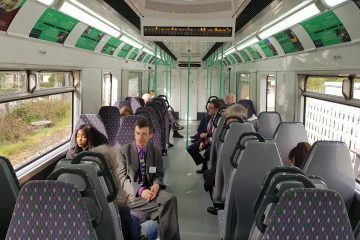 The 845s have a lime/turqoise Arriva livery, feature WIFI/WLAN and have power sockets. Free water will available to the passengers on the suburban services. Arriva Vlaky has six DMU’s class 845 available. The operations with diesel trains is temporary. 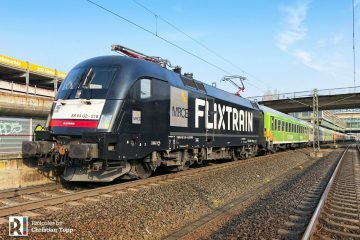 Prague wants the service to be operated with electric trains. This should be possible as of 2020, when Arriva Vlaky has purchased (or obtained otherwise) EMUs. Arriva Vlaky was willing to start a tender procedure, but the cities’ government wants to participate in this process. 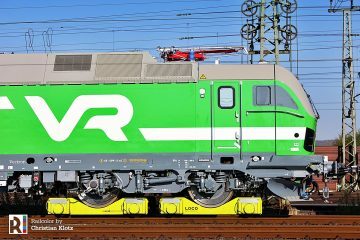 Freight operators are reported not to be happy about the extension of the services from Roztoky u Prahy via Praha Libeň (the current terminus) to Praha Hostivař, as the line there is mostly single track. Especially Metrans, serving the large container terminal at Praha Uhřinĕves (near P. Hostivař) is worried. The freight operator runs over a dozen intermodal trains to and from the ports of Hamburg, Bremerhaven and Rotterdam via this line. (A kind of) consensus has been reached by the Prague city, Arriva Vlaky and the freight operators: the passenger trains will only run on this section during the peak hours.